The South Carolina Gamecocks women’s basketball team took home their first national championship in program history on Sunday when they defeated the Mississippi State Bulldogs 67-55. NESN.com’s Courtney Cox tells you how A’Ja Wilson lifted the Gamecocks to victory. 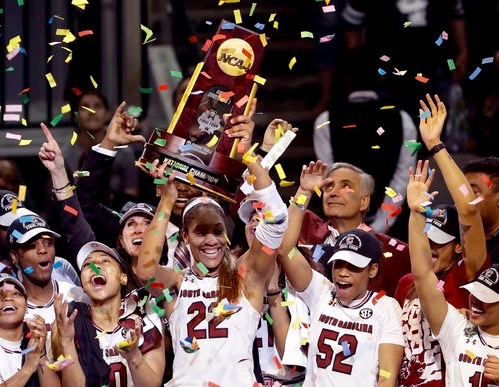 DALLAS — In the final seconds on Sunday, Dawn Staley gave a group hug to her assistant coaches. 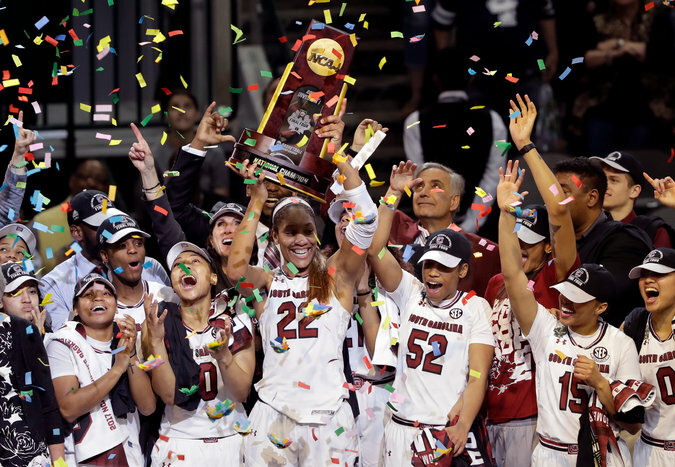 As confetti showered South Carolina’s first women’s basketball title winners, she put on a championship cap she had waited a career to wear. Later, she wore a net like a necklace. The 67-55 win over Mississippi State, a fellow member of the Southeastern Conference, was a victory that represented a diversity of opportunity, both for coaches and for teams playing for a championship. Staley became the second African-American coach to win a title since the N.C.A.A. began sponsoring a women’s basketball tournament in 1982. (Carolyn Peck coached Purdue to the 1999 championship.) And for the first time in five years, a program not named Connecticut won a national title. 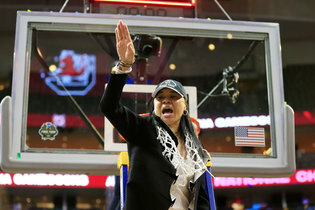 After Peck won her championship, she gave Staley a piece of the net that Purdue cut down in celebration that night, telling her to return it when she won her own title. For years, Staley kept the strand of net in her wallet. “I’m going to have to pass a piece of my net on to somebody else, so they can share it and hopefully accomplish something as big as this,” Staley said. Staley was a fierce point guard from Philadelphia and one of the most renowned players in the history of women’s basketball as a collegian, professional and Olympian. She became a coach only reluctantly. But now, as an N.C.A.A. champion and the recently named Olympic coach for the 2020 Tokyo Games, Staley has a chance to become a standard-bearer for women’s basketball as Geno Auriemma of UConn and Tara VanDerveer of Stanford move closer to retirement. For the third time this season, the Gamecocks beat the Bulldogs. Mississippi State (34-5) appeared to be somewhat tired, or anxious, after Friday night’s epic overtime upset of UConn. South Carolina attacked from the opening tip, then sputtered after building a 14-point lead in the third quarter. But the Gamecocks were settled by their 6-foot-5 post player A’ja Wilson (23 points, 10 rebounds) and guard Allisha Gray (18 points, 10 rebounds). Forty-two of South Carolina’s points were scored in the lane. Three times, Staley had reached the Final Four as a player at Virginia. And this was her second appearance in the past three seasons as South Carolina’s coach. She had not won until Sunday, but a championship that had remained elusive finally became inexorable.